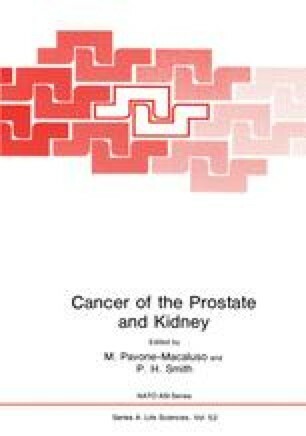 Treatment of prostatic cancer is an interesting subject. One can expect cure from a radical prostatectomy providing there is no spread beyond the prostate gland. Radical perineal prostatectomy offers this cure without the advantage of sampling and testing the lymphatics which drain the prostate, staging only. Nonetheless, it is a time honored treatment which has excellent results and which is much less damaging to the patient than radical retropubic prostatectomy with node dissection. It is also less discomforting to the patient in the sense that the complications are much less and, in my opinion, the opportunity to do a direct anastomosis to the urethra under vision, allows for a better control and a decrease in the chance of urinary incontinence. There are no available figures that I know of to support my view, but I feel quite certain from watching the results of retropubic radical prostatectomy versus radical perineal prostatectomy, that the statements I have made are true.